An epitome of luxury living, Bill and Coo Coast boasts a serene location, idyllic views and refined hospitality. 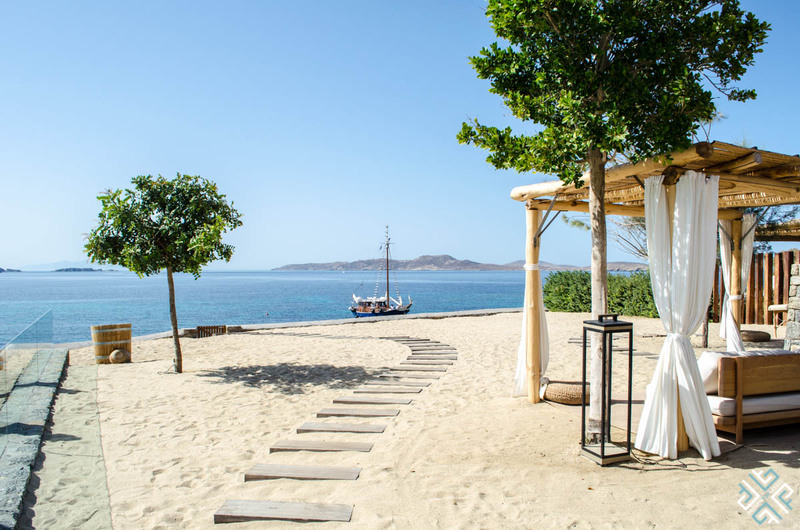 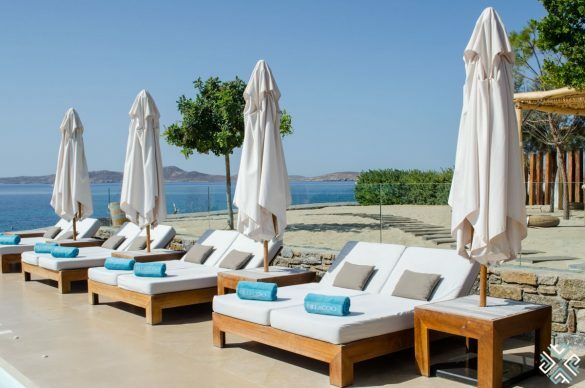 The elegant, cube-like Cycladic style houses sprawl over 10 acres of land overlooking the dazzling Aegean Sea, the traditional chapel of Agios Ioannis and the sacred island of Delos. 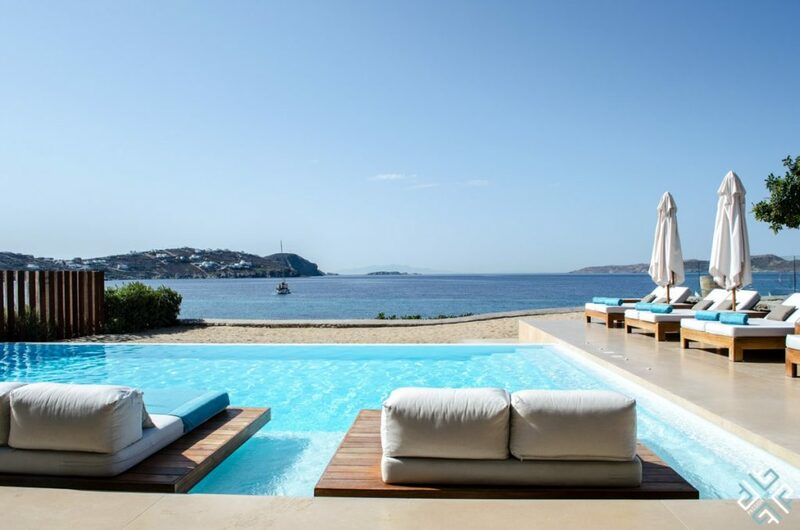 Here you can easily spend all day lazing by the pool, admiring the sleek design of this luxury property and the majestic views of the bay — which effortlessly so reflect the idea of a perfect summer island escape. 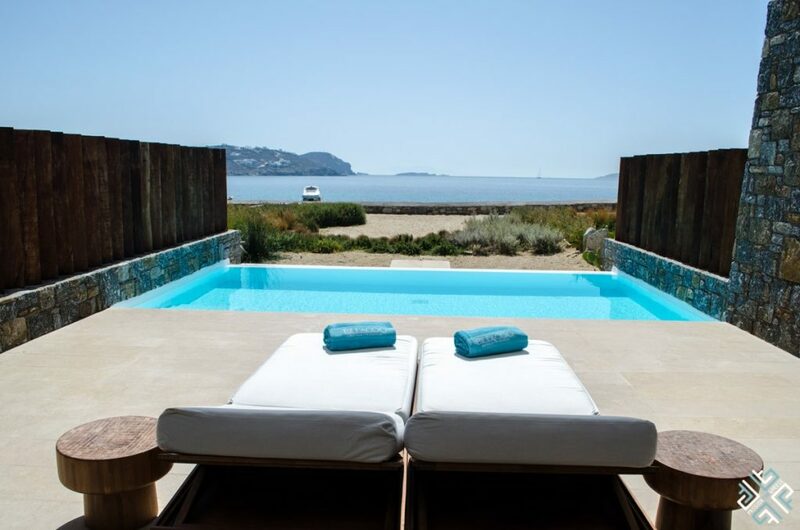 And if you would like an ultimate glamorous stay then the signature Bill & Coo Coast Suite with a private pool will gift you with a truly memorable experience — a blissful Myconian holiday. 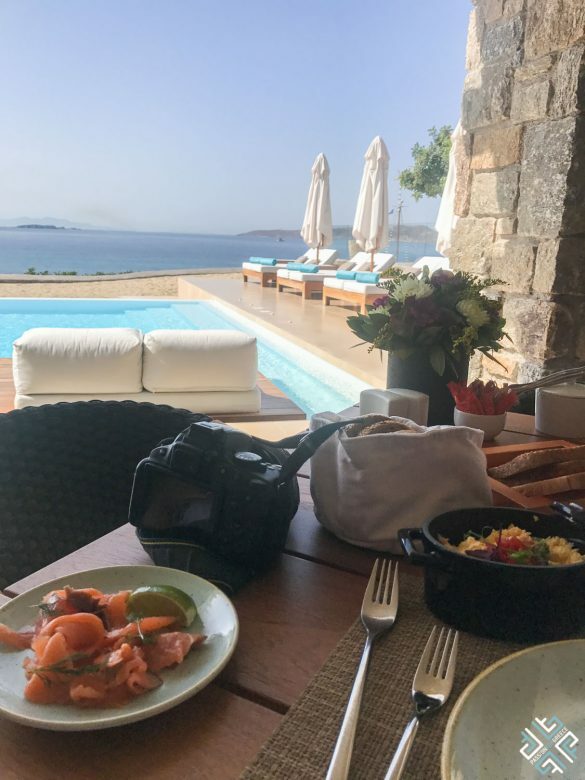 Arriving at Bill and Coo Coast feels like you are visiting a private estate — where only a selected few have received an invitation for an elite summer getaway. 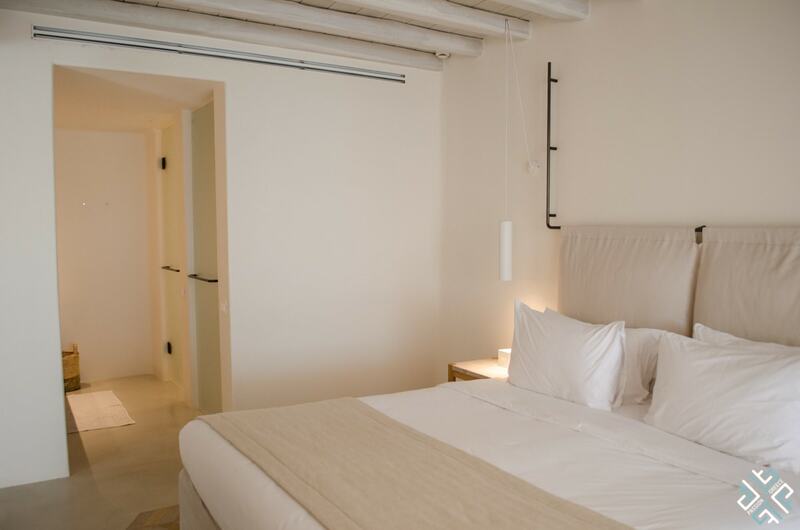 The hotel is an adults only property where you are guaranteed a special kind of exclusivity. 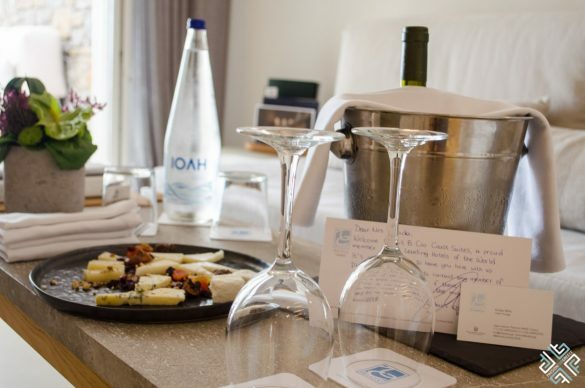 From Sea View Coast Suites located on the top level of the complex with private balconies overlooking the enchanting sea ,to Honeymoon Coast Suite with private plunge pool and the lavish Bill & Coo Coast Suite with a private pool — every single accommodation offers the privacy and intimacy required for the perfect stay. The most luxurious suite in the house is where you will experience the laid-back tranquil island life at its best. Located on the ground level, the Bill & Coo Coast Suite with a private pool — features a separate living area, a walk-in closet and an airy bedroom. The spacious outdoor terrace is the best place to rejuvenate, relax and completely free your mind. 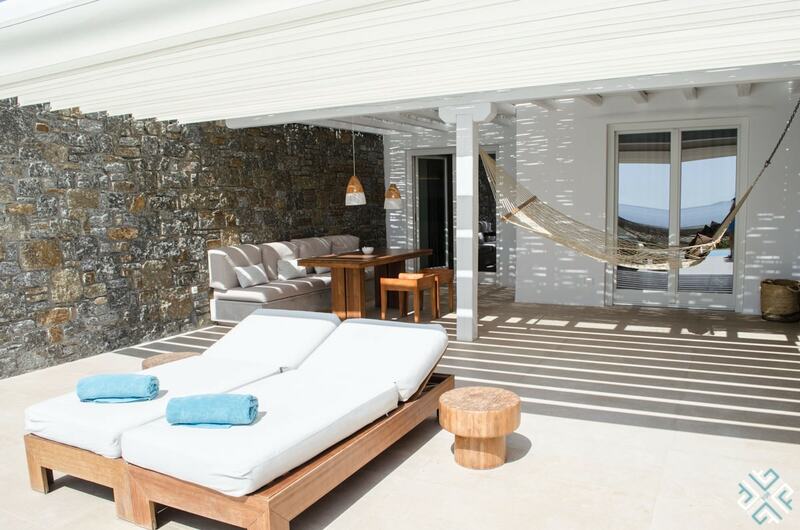 It comes with a hammock, a comfortable lounge corner, sun-loungers and private pool. 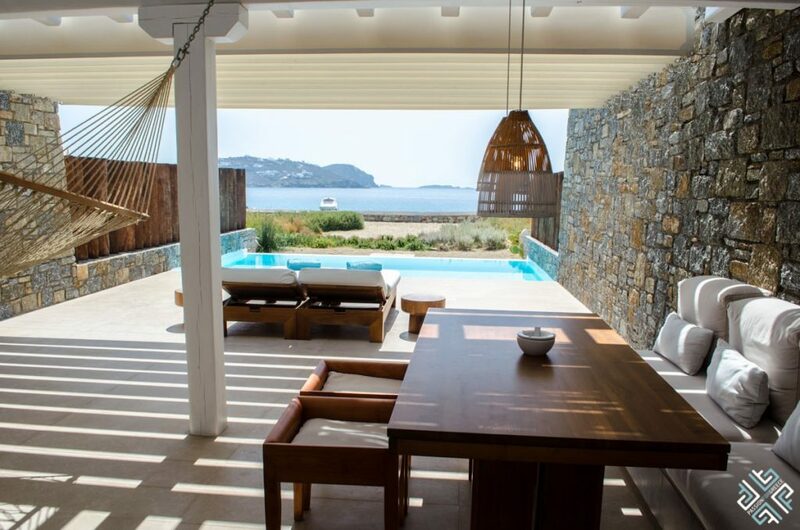 The golden sun beams, the beautiful sunsets and the snap-worthy scenery will make you want to stay here forever. 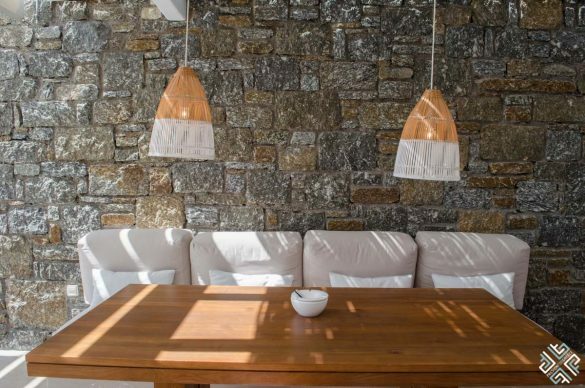 The light, natural colours dominate the interiors of the resort with exceptional wooden furniture, equipped with all the modern facilities. 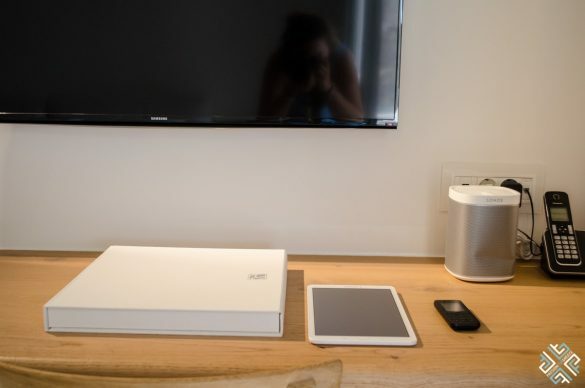 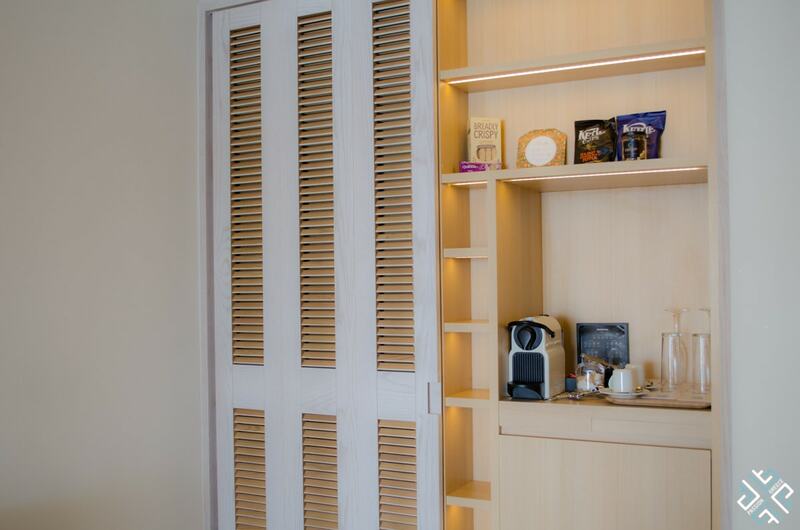 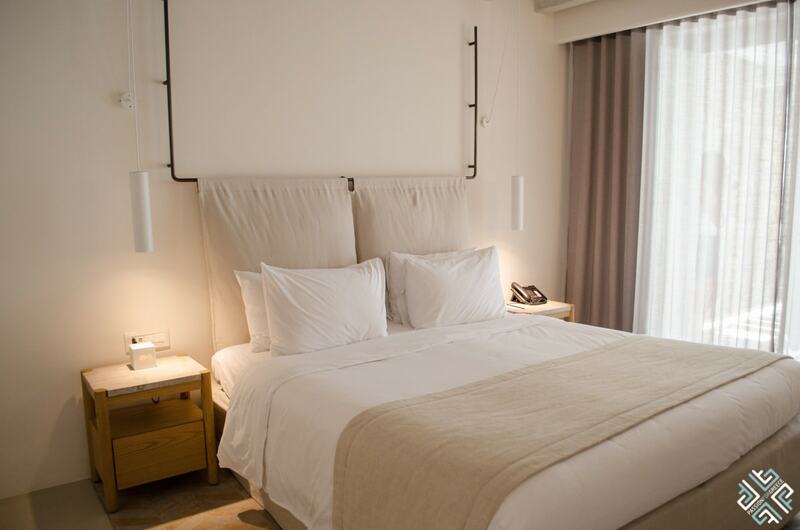 There is a Nespresso machine, Sono speakers, iPad with a complete music list, a local phone to be used for contact with the hotel staff, a fully stocked mini-bar and complimentary Wi-Fi. 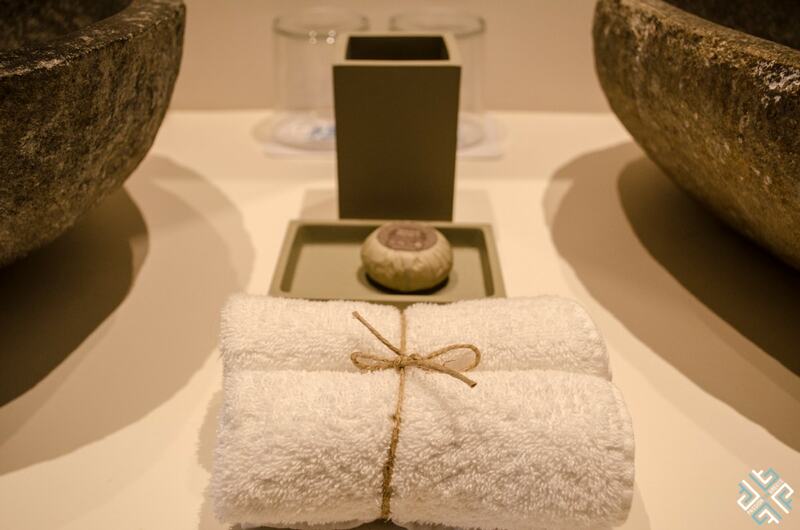 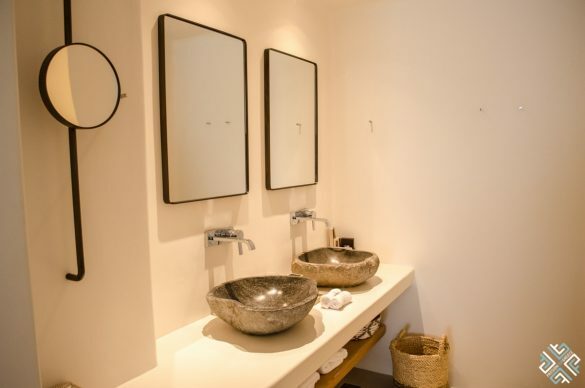 The suite features a separate WC and a spacious waterfall shower cabin with Molton Brown toiletries. 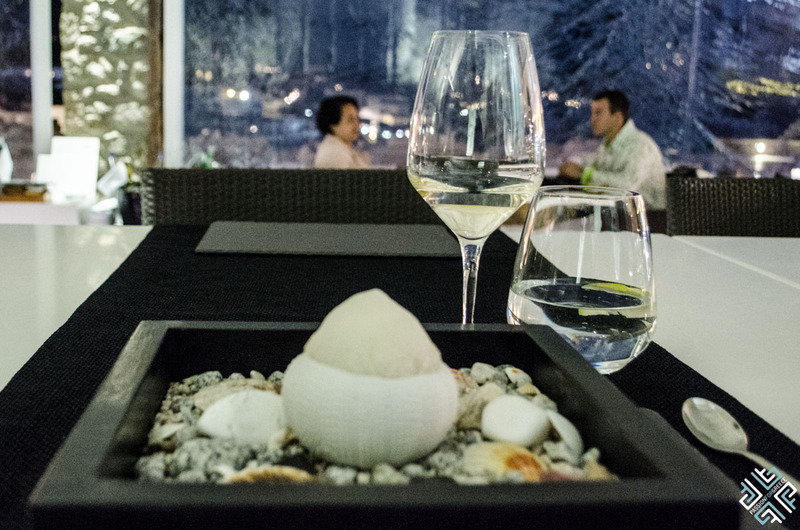 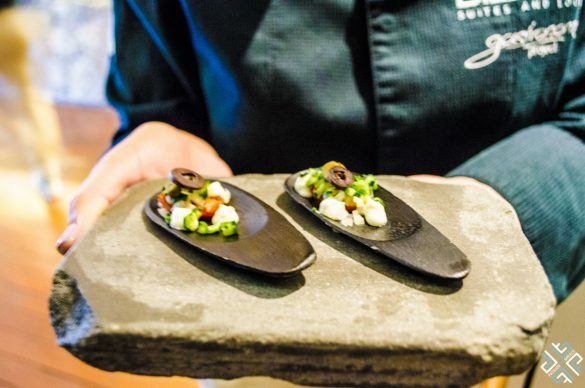 Exceptional meals play a major role at this intimate resort. 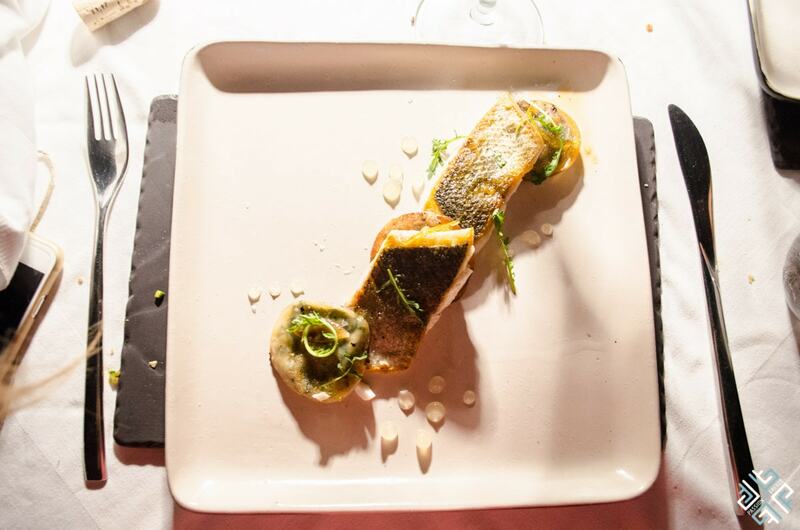 There are several option available for a memorable meal. 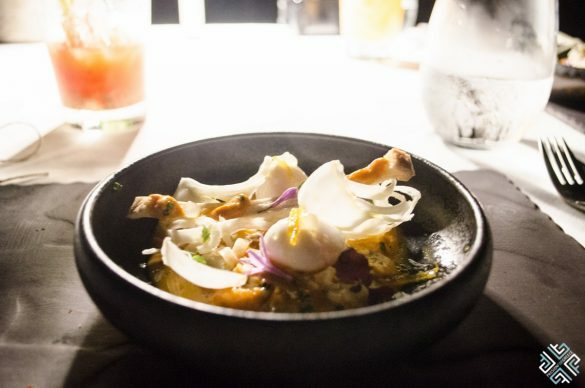 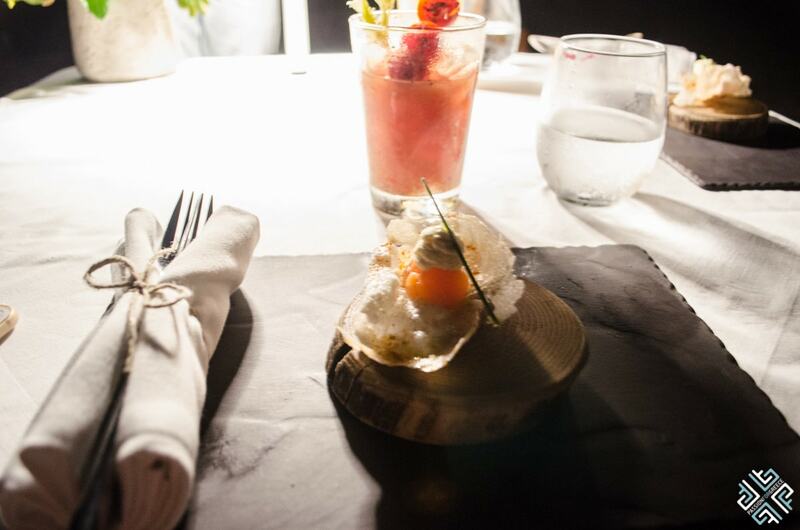 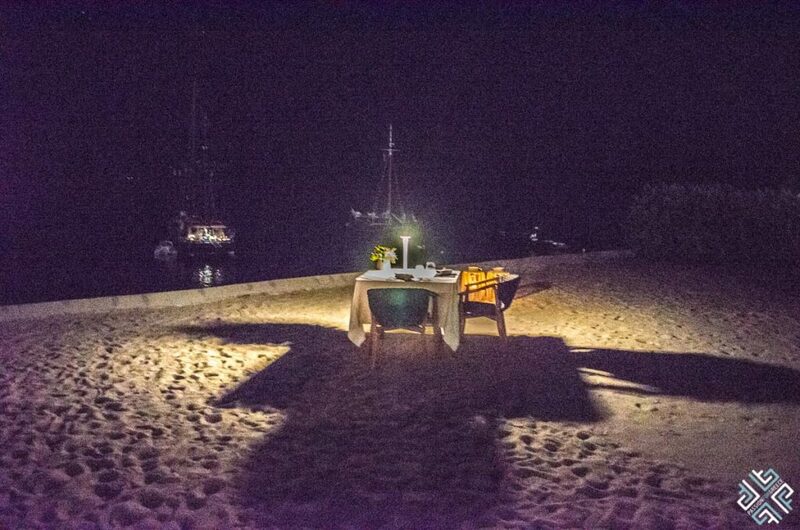 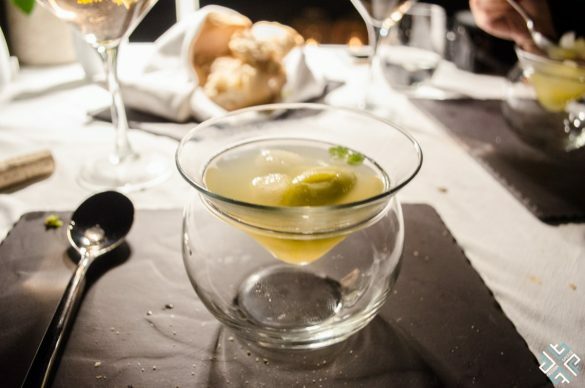 For an exclusive dining experience we recommend booking the Under the stars experience — where in the most secluded location right under the moonlight, with your feet touching the sand —you will savour the eclectic degustation menu prepared by the Executive Chef Ntinos Fotinakis. 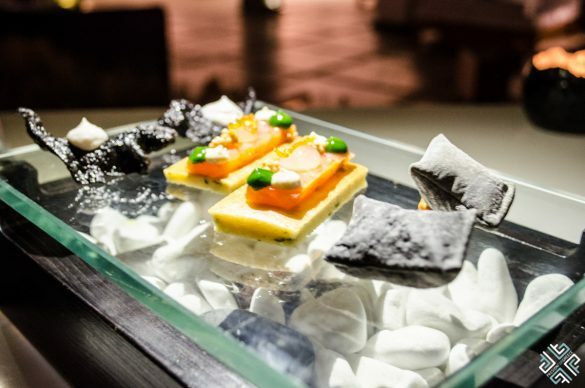 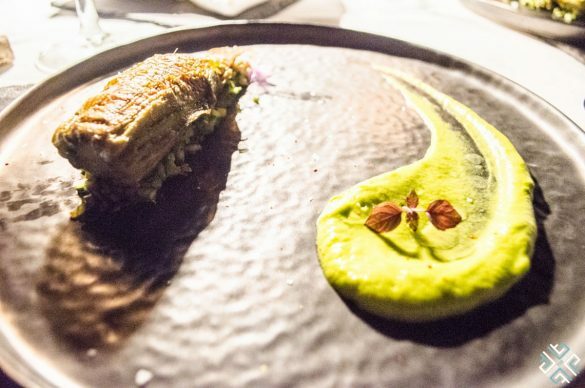 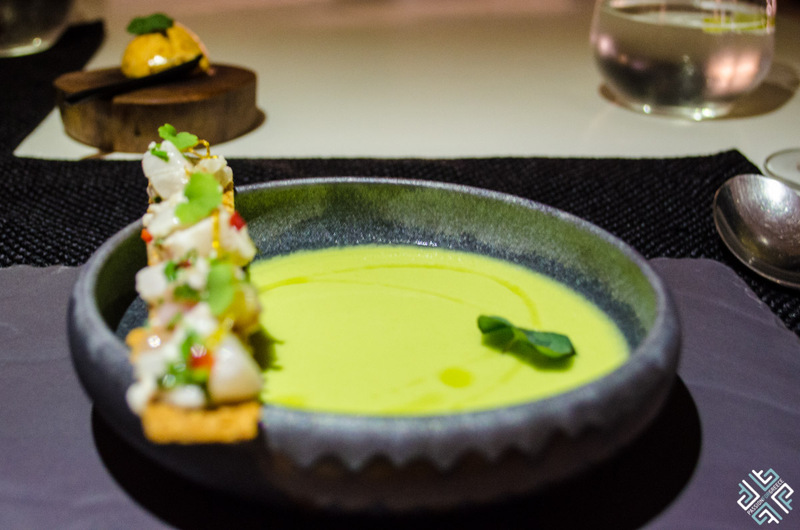 During our romantic dinner by the sea we indulged on signature dishes such as crispy smoked flavour feta pie with Myconian louza, Gravax salmon on blinis, coriander-chilli crispy laguna bread served with sea bass tartar on top of a cucumber soup made with coconut milk. 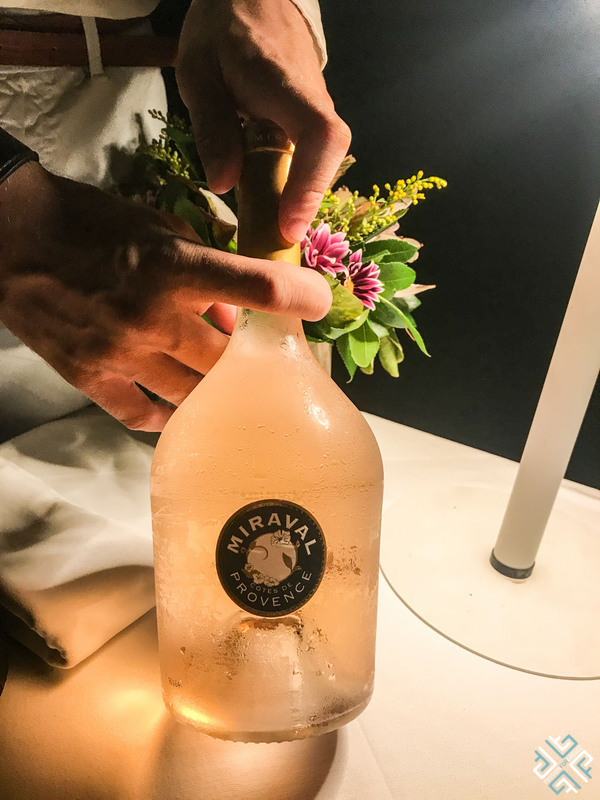 The meal was paired by Château Miraval rosé, a brand created by Brad Pitt and Angelina Jolie. 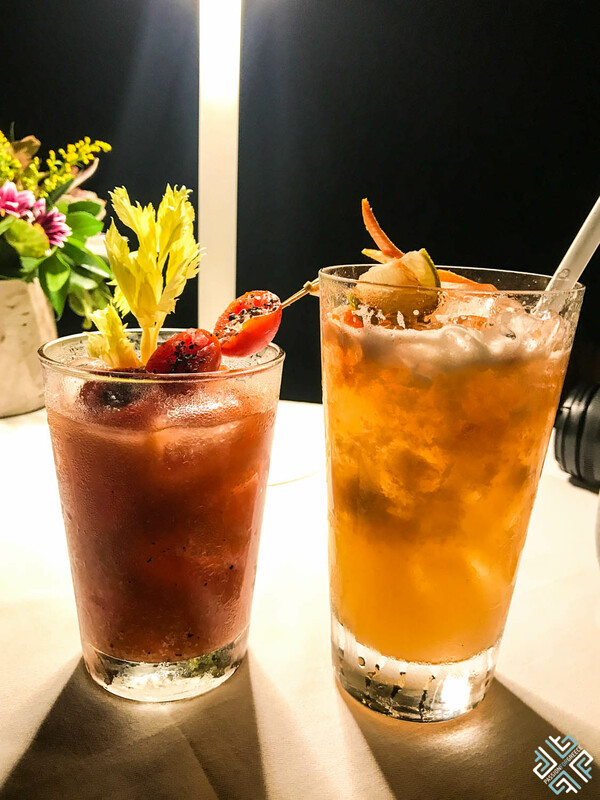 If you are a lover of cocktails ask the master mixologist to create one of his signatures — I had the bloody Mary with horseradish and it was simply divine. 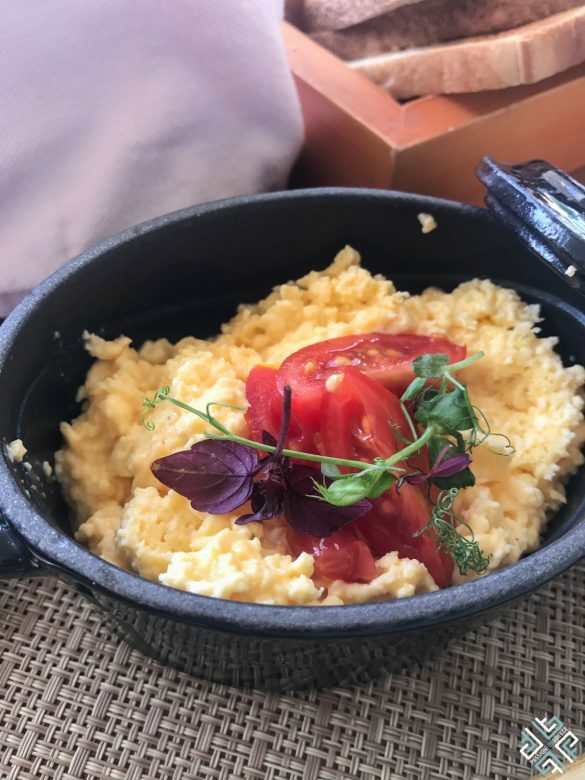 Breakfast is a la carte, served by the pool where you can enjoy a fresh selection of fruits, baked goods, cereals, yogurts and eggs made to order. 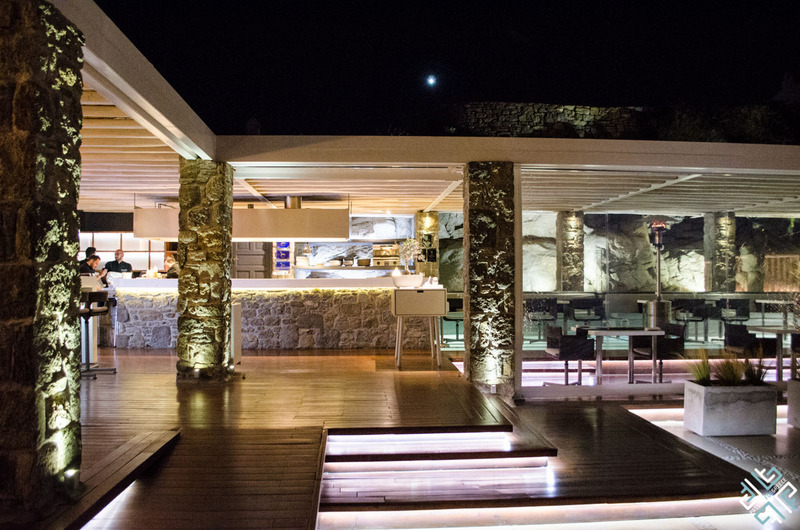 Other dining options include the Bill and Coo Taverna serving delightful Mediterranean flavours, the BeefBar Mykonos for a sensational meat experience where you can enjoy quality cuts such as Japanese Kobe, Black Angus from Argentina and the US as well as other signature creations. 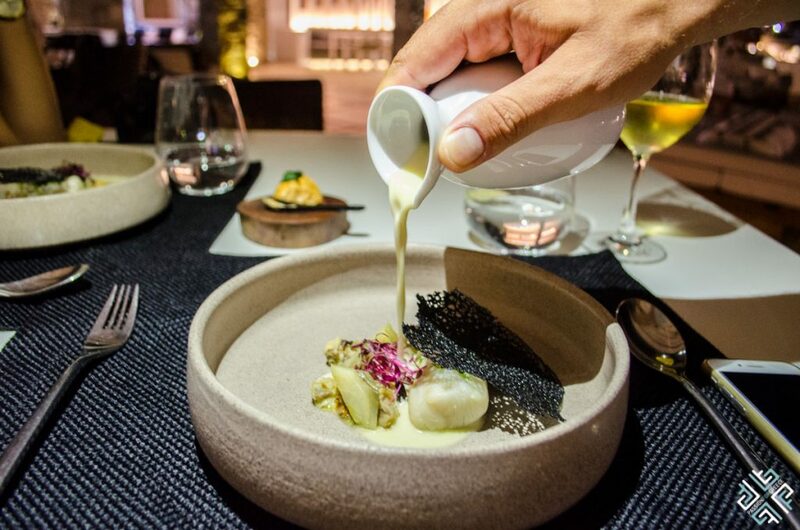 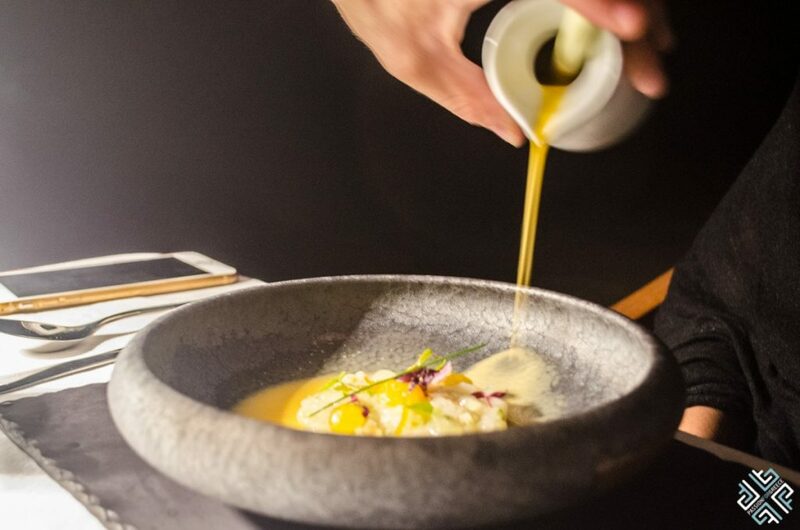 For an interactive sensory dining experience we recommend that you visit the Bill & Coo’s Gourmet Restaurant situated by the pool of the sister property Bill & Coo Suites and Lounge hotel. 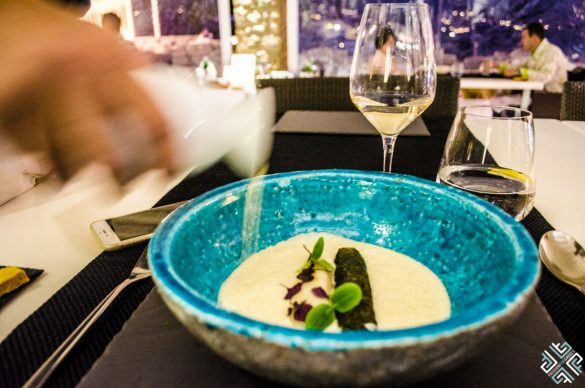 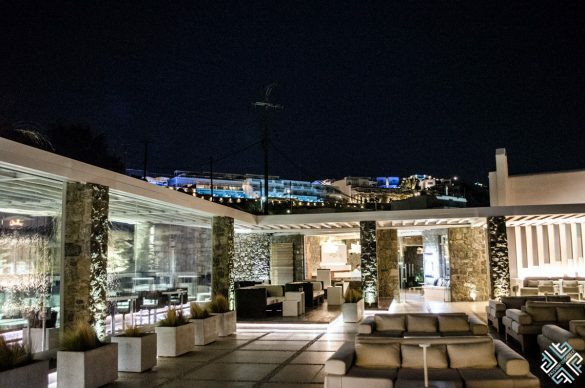 Since 2007 the restaurant has received numerous awards for its authentic Greek cuisine prepared based on the innovative recipes of Executive Chef, Ntinos Foteinakis. 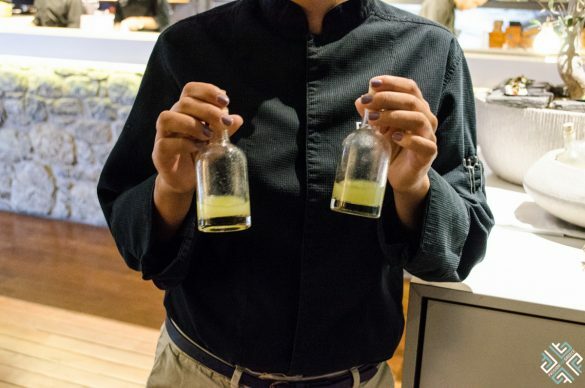 Using fresh, seasonal and biological ingredients sourced from Greece — you are in for a once-in a lifetime culinary journey. 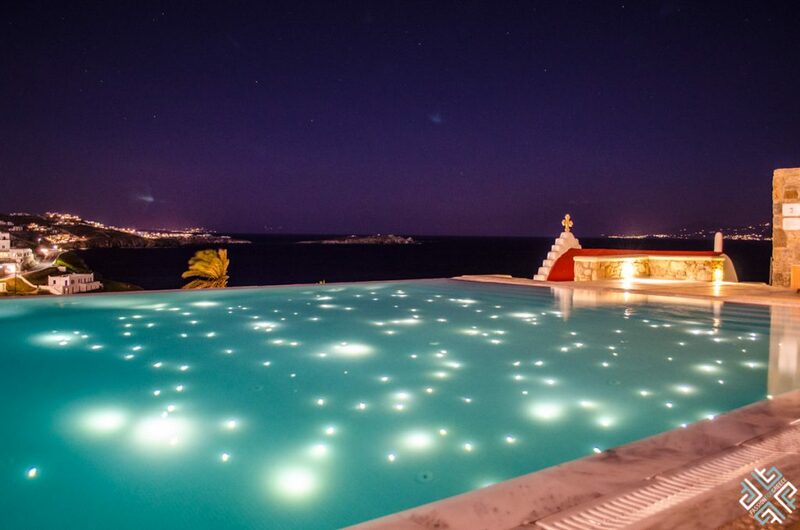 With a dazzling infinity pool, the Aegean Sea and the starry Myconian sky as your backdrop — let all your senses surrender. 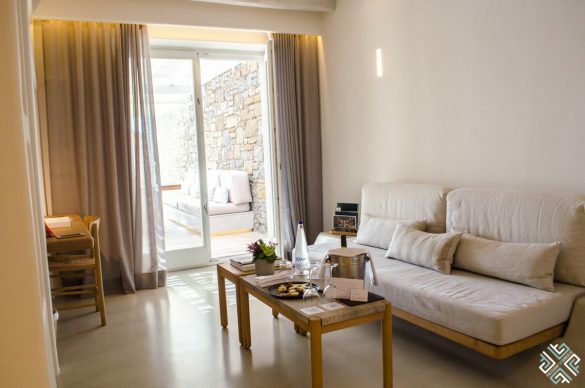 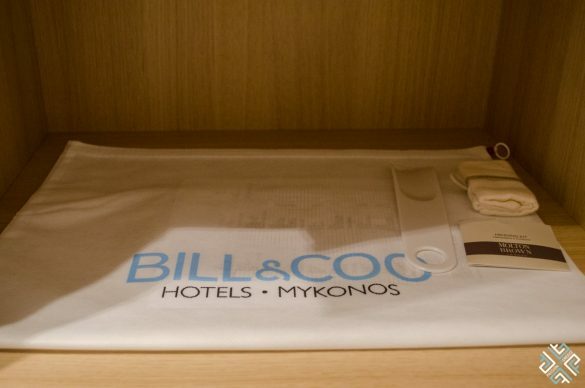 *Passion for Greece was a guest of Bill and Coo Suites, all opinions expressed are my own.